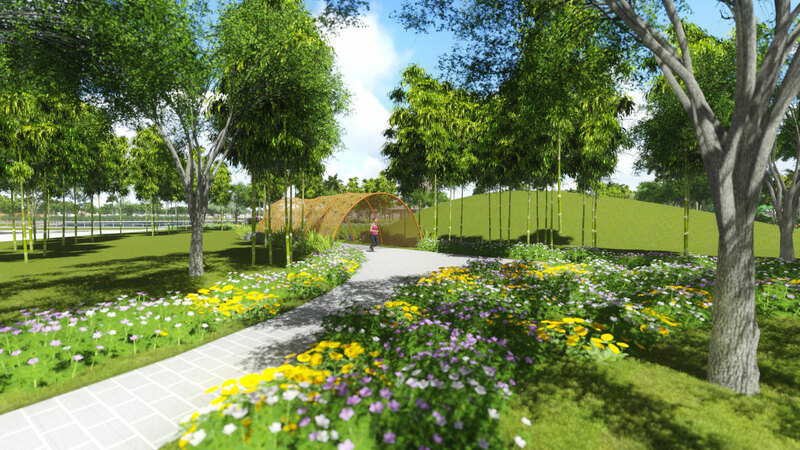 Landscape for zone CT3, CT4 project is within the overall landscape design of public parks in urban services Nam An Khanh which was signed between Eden Landscape and Sudico. 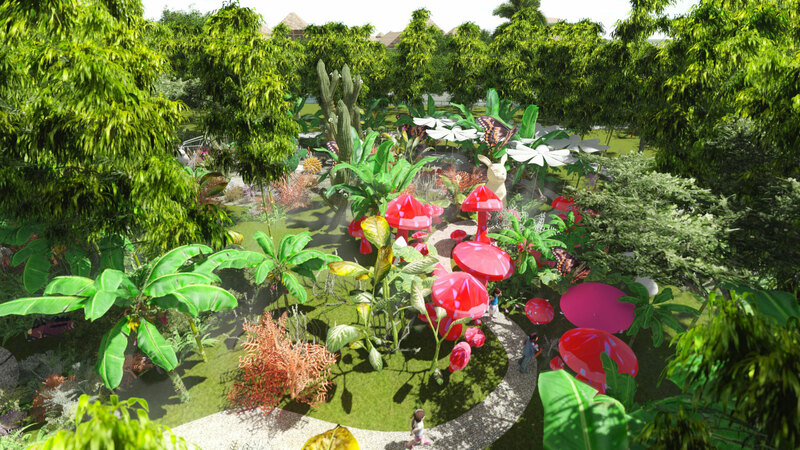 With the aim of greening the space, increasing facilities for the citizens in Nam An Khanh New Urban before building construction in CT3 and CT4, Eden Landscape Architects gave the most suitable design for the project. CT3 zone was designed to serve a variety of ages from adults to teenagers, while the CT4 zone was designed to serve the need of entertainment and learning of children. 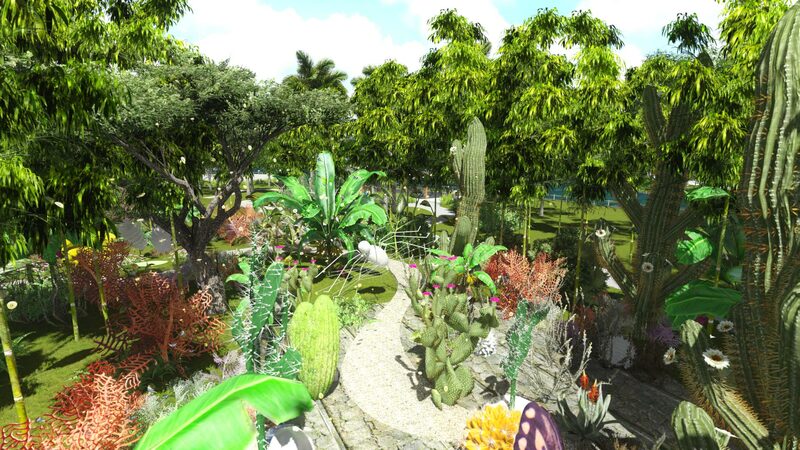 The subdivision and design suitable with customers will give residents and visitors wonderful experience. 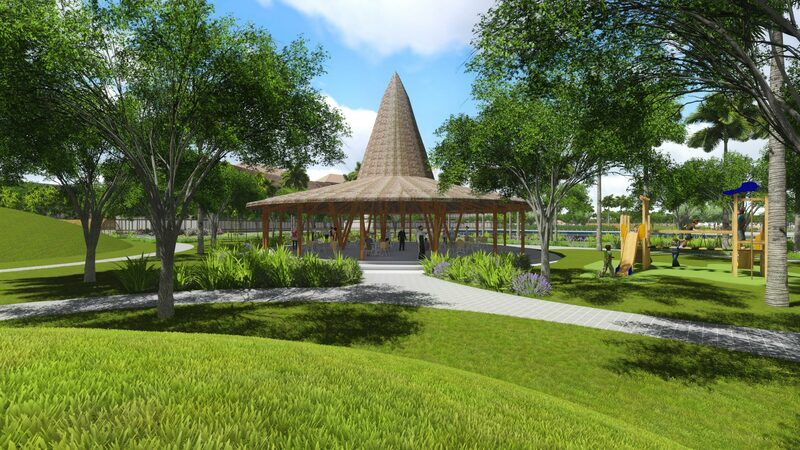 CT3 serving adults and teenagers was designed to create an open space which is an ideal place for team building activities, camping, picnic … Shade trees along roads along with lawn will create a cool and fresh space for outdoor fun. Unlike CT3 large park, Eden architects designed CT4 special for children with fairy space. 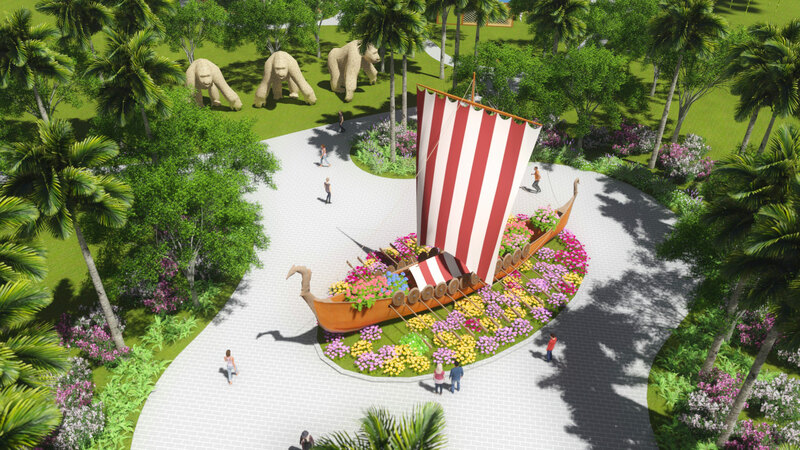 Based on the idea of Tarzan and Jane’s story (consulted by Tomato Education), Eden architects designed a green forest with giant animals and exotic trees stimulating the curiosity of children and bringing new experiences. All games and facilities in this area are also reasonably arranged to enhance children’s mobility and interaction. 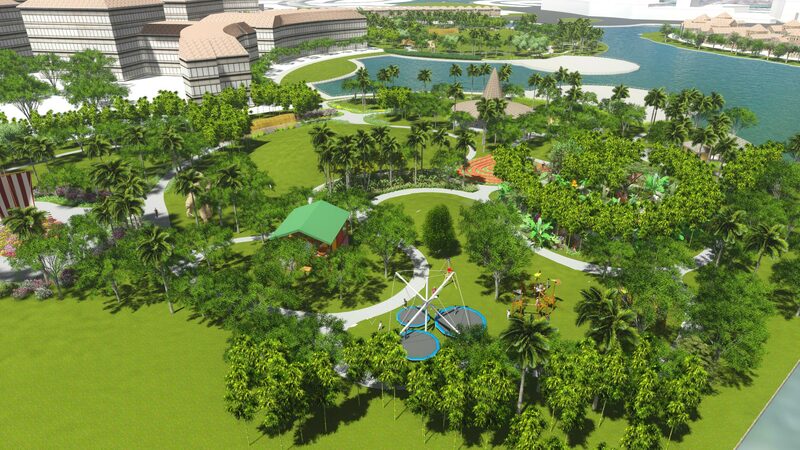 In area of the game layout, shrubs will be limited to open space which can help the parents look after their children while playing. 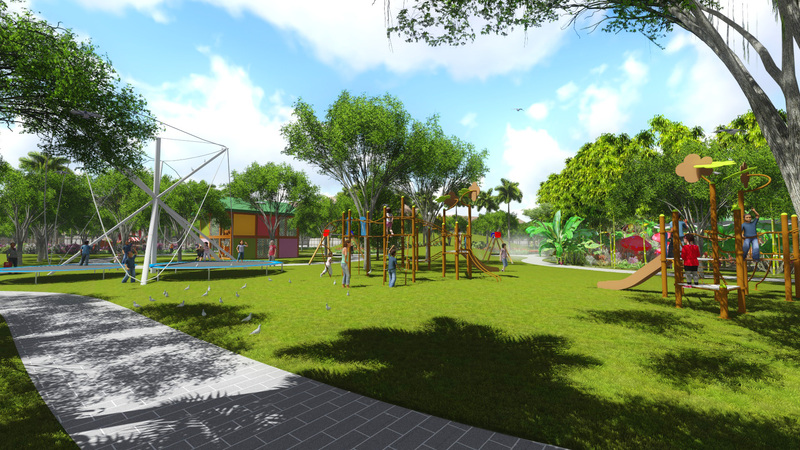 With logic and reasonable design, CT3, CT4 zone will be the ideal place for families, groups of friends to come here to enjoy, relax.